Purple Walrus Press: Ann Arbor Huron Valley Ambulance has deployed crews to Hurricane Florence. Ann Arbor Huron Valley Ambulance has deployed crews to Hurricane Florence. 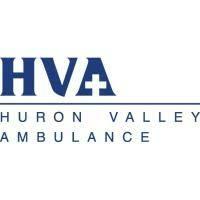 According to a statement from HVA, Huron Valley Ambulance, along with several other Michigan EMS agencies, has been deployed by FEMA to provide aid and response in the area impacted by Hurricane Florence. HVA is part of a national Emergency Response team contracted through American Medical Response (AMR), a national EMS agency that operates in many states, including Michigan. When areas in the country declare a state of emergency requiring FEMA involvement, AMR coordinates extra resources such as EMS support to aid local public safety teams. According to Huron Valley Ambulance, "When HVA received the Hurricane Florence deployment notice, our National Response Team was activated. For this mission, the team consists of a six-person crew of paramedics and EMTs, two ambulances, and a mobility transportation vehicle." Chief Operating Officer, Dirk Borton shares, “We have a National Response team we keep prepared and ready to go for events like this. The team trains for deployments and when we receive a notification of possible response, team members volunteer to be part of that mission.” The team responding to Hurricane Florence has committed to a minimum of two weeks and is equipped with extra medical supplies, tactical rescue gear, and personal items like cots, extra uniforms and a supply of groceries. “The team is well supplied until they reach the FEMA staging area,” states Borton. According to HVA, this is the third activation for the HVA Response Team. Past deployments have included responses to Category 5 Hurricanes Rita and Katrina in the late summer of 2005.